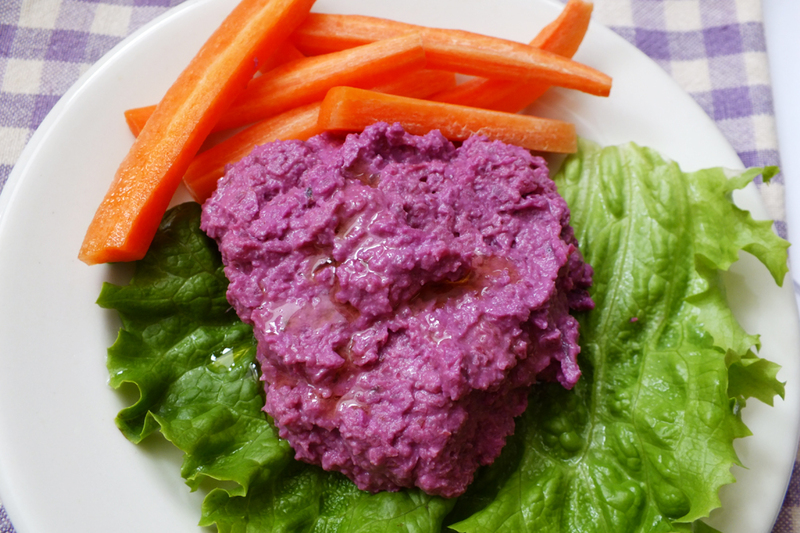 In a food processor, blend beets, garlic, and chickpeas until smooth. Add tahini, lemon juice, and cumin, and process again. Scrape down the sides and bottom of the bowl, then replace the lid. With blade running, slowly add the olive oil to reach desired consistency for dipping. Great served as a dip with raw vegetables or tortilla chips or as a spread for wraps. *To roast beets: Preheat the oven to 450°F. Wash and trim the beets, wrap in foil and roast for 50 – 60 minutes, or until soft when poked with a fork. Remove from the oven and allow to cool, then peel and cut into small chunks.